A quite small and not very well know waterfall on Hítará. 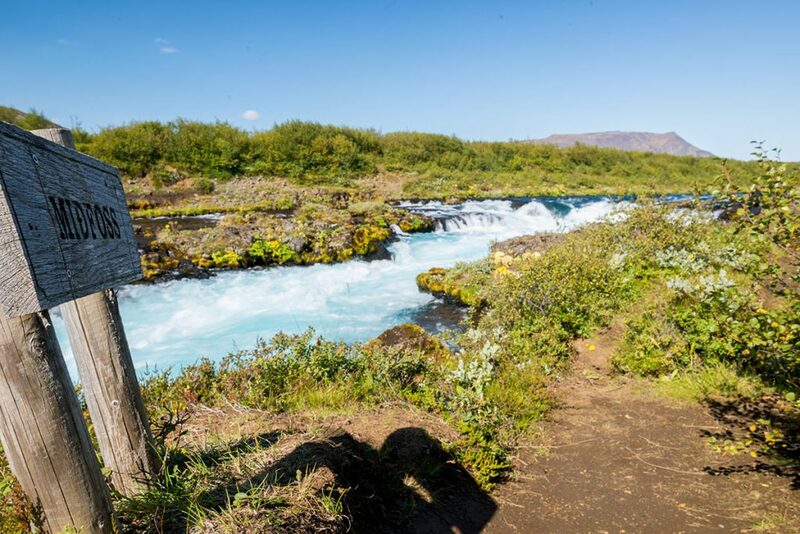 Miðfoss is located approx. 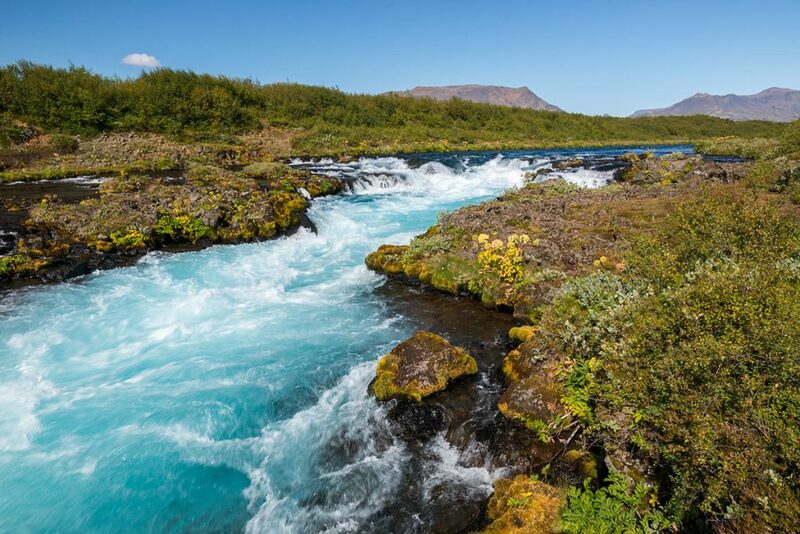 700 meters (0.5 miles) from Brúarfoss down the stream of the Hítará river. 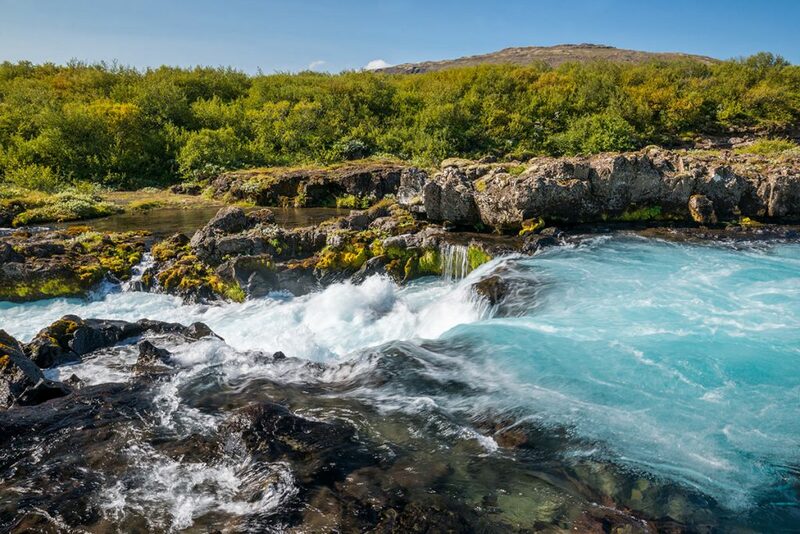 GPS coordinates of the Miðfoss waterfall: 64.258149, -20.514890 Take me there!